From the street you’d never guess what a treasure The Roast Grill is. Its name glows in neon in the big picture window and a Coca-Cola sign with “Hot Weiners” is a clue. Otherwise, this building, located on West, just off Hillsborough Street in Raleigh, looks like what was once someone’s house. In fact, there’s a front porch next door. If the outside makes the establishment look smallish, the inside accentuates the point. A counter with eight stools and a couple of really small tables round out the accommodations at twelve seats. It's tiny. Customers must maneuver as if they are solving a sliding puzzle to accommodate one another. NC State memorabilia decorate the walls. A “no ketchup”t-shirt and pictures from the Roast Grill’s encounter with The Travel Channel’s Adam Richman and Man vs. Food add the perfect accent. A motherly/grand-motherly woman takes your orders and prepares them. She also takes your payment when you’re ready to leave… and gives you a Tootsie Roll for the road. The ambiance alone is worth a visit, but we’re here for the dogs. Ordering isn’t complex. They sell hot dogs. Nothing else—well, other than beer and soft drinks... and dessert: baklava or pound cake. Toppings for the hot dogs are classic Carolina Hot Dog fare: mustard, slaw, onions, chili. 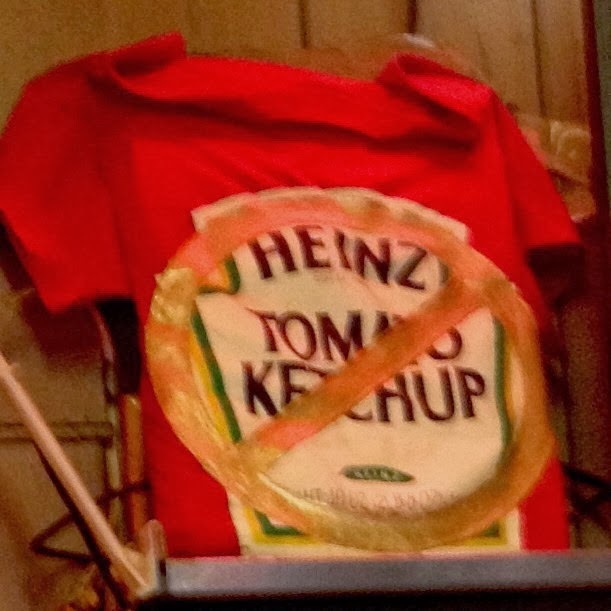 No, they do not have ketchup or catsup. Don’t ask. The dogs are some of the pricier ones in the Triangle. They currently sell for $2.50 plus a quarter if you want both onions and slaw—well worth the extra quarter. While I thought the hot dogs a tad expensive, I’d have to say I’d pay it again. They’re darn good dogs! They grill the wieners to a delicious crunch, and that smoky crunch really sets these hot dogs apart from the usual boiled ones. The chili has the right taste and meatiness. I would have loved a bit more, but it still added just the right flavor. The slaw is hand-chopped, not mutilated by a food processor. The same hands that chop the cabbage apparently chop the onions; they’re about the consistency. The onions on my dogs were just a little bitter, but that happens with onions. Parking is street parking but not particularly hard to come by. Payment is cash only. Hours are 11-4 Monday through Saturday. With its location near so many Downtown night spots, I’m sure they’d make a killing if they were only open late night, but I guess they’re satisfied with the money they currently make. I know I'd sure buy 'em around 2AM if they were open. For a hot dog that stands out served in a retro environment, you can’t go wrong with The Roast Grill. Yum! Drag Bingo actually more of an event than a place, but the hot dogs are fabulous... and the entertainment matches! 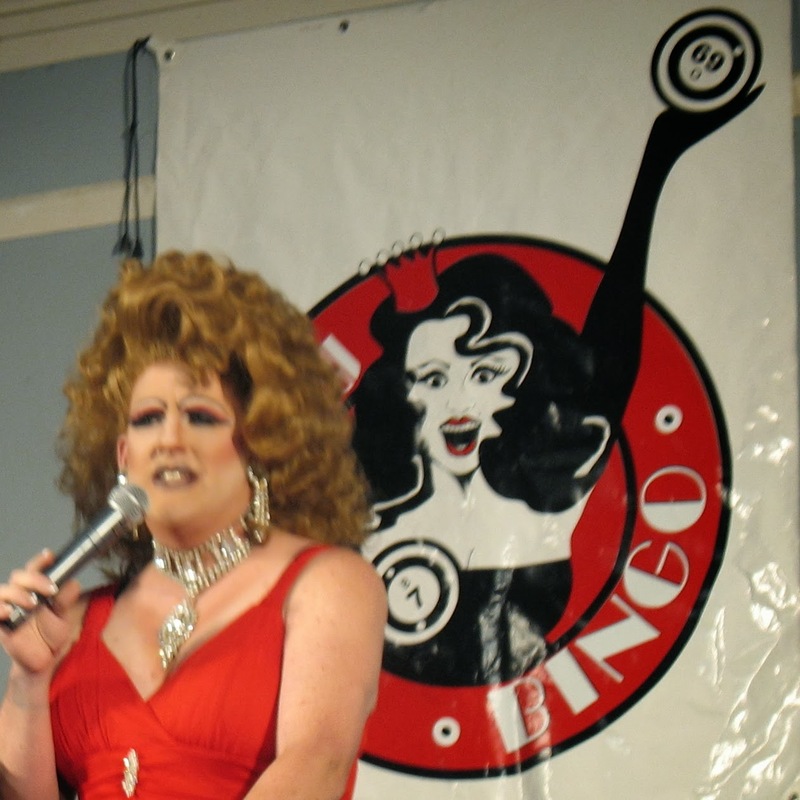 Hosted by the awesome Mary Kmart, Drag Bingo is a major fundraiser for the Alliance of AIDS Services - Carolina. AAS-C provides all kinds of support for those living with HIV/AIDS and their families and friends. The AAS-C holds Drag Bingo about six or so times a year, usually at the Durham Armory across from the Marriott and the Carolina Theatre in Downtown Durham. 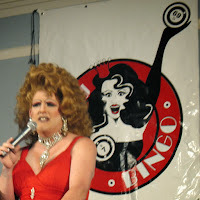 Upon special occasions, Drag Bingo has been at the Raleigh Civic Center, the NC State Fairgrounds, and at Golden Belt. The evening consists of traditional bingo mixed with stand-up comedy, drag performances with a new theme for each event, and great dogs rolled into one glittery fun evening. The hot dogs are delicious and cheap. Five bucks gets you two hot dogs, a bag of chips, a sweet, and a soft drink. Purchase your special and head to the toppings table. The usual condiments are provided: mustard, relish, ketchup, mayo; but more important are the toppings that make these dogs special: freshly chopped onions and home-made coleslaw and home-made chili. I've always said one of the most important components to a great Carolina Hot Dog is the slaw, and the slaw here is always fresh and creamy, seasoned perfectly. The chili, too, is tasty and freshly home-made. It's really hard to find something about the chili or slaw that isn't divine. Truly delicious! You do have to purchase a ticket to get in. Currently, admission is $20. It includes several games of bingo, several dazzling drag performances, and off-the-cuff comedy between the host(esses) that make it worth the cost of entry. Add to that the fact that all the money raised goes to support those living with HIV and AIDS, not to mention access to some of the best hot dogs in the Triangle. That's the makings of a fun--and tasty--night out. Don't miss some of my favorite weenies!